More than 300 conservative activists came together this past weekend in Ft. Worth, Texas for the annual RedState Gathering, and came away mostly encouraged that the movement is still on the right track despite recent election setbacks for some Tea Party candidates. The event kicked off Thursday night with a barbecue dinner hosted by Texas Gov. Rick Perry, who reminded the attendees why Texas has been so successful in attracting jobs during his tenure, and of his commitment to stopping the flow of illegal immigrants across the Texas border. Perry reiterated these themes in his official speech the next day, as he continues to test his message for a potential 2016 presidential run. 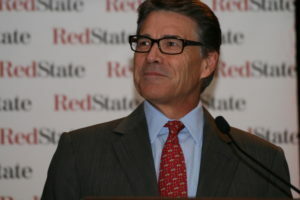 Perry was one of a handful of potential 2016 Republican presidential candidates—Sen. Ted Cruz (TX) and South Carolina Gov. Nikki Haley were the others—whose speeches had the crowd excited at the prospect that a real conservative will be the party’s nominee. Besides the 2016 hopefuls, attendees heard from a variety of candidates ranging from Konni Burton, who is running for Wendy Davis’ Senate seat in Texas, to Ken Buck, who is running for Congress in Colorado. Buck narrowly lost his Senate bid in 2010, but is expected to win in November. Other speakers included Heritage Foundation president Jim DeMint, Townhall.com editor and Fox News contributor Katie Pavlich and Matt Kibbe, President and CEO of the Tea Party group Freedomworks. One of the more engaging presentations was given by Guy Benson of Townhall.com, who gave his thoughts on the midterm elections with a focus on the Senate races. Benson gave the attendees hope that the Republicans will net the six seats they need to take control of the Senate, though he cautioned that it’s also possible that Louisiana may need to be settled in a runoff that won’t take place until December, potentially delaying control of the Senate. The most controversial part of the conference was RedState editor Erick Erickson’s strong endorsement of RNC Chairman Reince Priebus, who is often the target of derision by conservatives. Erickson reminded the attendees that any anger or blame that they felt about the Mississippi elections should be directed at the National Republican Senatorial Committee, which backed Sen. Thad Cochran over challenger Chris McDaniel. He added that Priebus was a great guy, and wanted to speak at the Gathering. 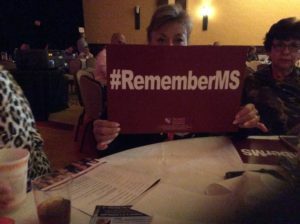 Despite Erickson’s impassioned defense of Priebus, when the time came for him to speak he was greeted with polite applause, but also with signs that said #RememberMS on one side and #Censure Henry (Barbour) on the other. The signs were distributed by RedState Gathering sponsor, Tea Party Patriots. Priebus acknowledged the dissent by reiterating what Erickson had already told them, and pointing out that the RNC doesn’t get involved in primaries. He said that Mississippi was an NRSC operation. While no one shouted Priebus down, many attendees grumbled that, unlike with other speakers, there was no Q & A, which they felt was done to avoid embarrassing him. As a result of the mini-protest, which included someone continually holding up one of the signs in the camera’s view, Erickson said in his blog post that next year he will change the way questions are asked. That may not be a bad thing, as there were more statements than questions throughout the meeting. All in all, it was a conference full of plenty of red meat for the Red Staters. But notably absent from any of the discussions was the role of the liberal media in shaping the news, which was a glaring oversight, in my opinion. Saturday did end on an up note, however, with a closing speech by Texas Attorney General Greg Abbott, who is running for governor, and a reception sponsored by Abbott at the Texas Motor Speedway, complete with a Legends car race. Next year the RedState Gathering will take place in Atlanta, where it all began in 2009. And with the 2016 election just around the corner, attendees can expect an agenda full of presidential hopefuls trying to win them over.